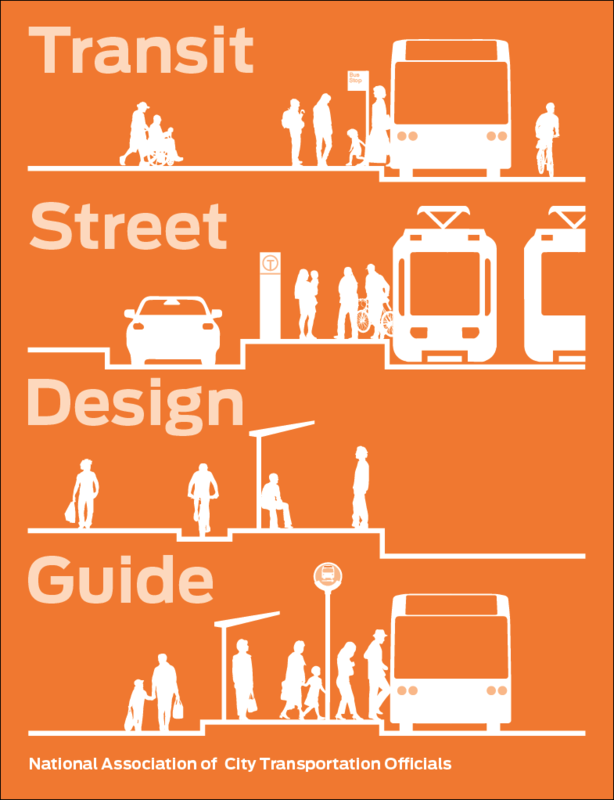 The Transit Street Design Guide provides design guidance for the development of transit facilities on city streets, and for the design and engineering of city streets to prioritize transit, improve transit service quality, and support other goals related to transit. The guide has been developed on the basis of other design guidance, as well as city case studies, best practices in urban environments, research and evaluation of existing designs, and professional consensus. These sources, as well as the specific designs and elements included in the guide, are based on North American street design practice. The Transit Street Design Guide sets a new vision for how cities can harness the immense potential of transit to create active and efficient streets in neighborhoods and downtowns alike. Building on the Urban Street Design Guide and Urban Bikeway Design Guide, the Transit Street Design Guide details how reliable public transportation depends on a commitment to transit at every level of design. Developed through a new peer network of NACTO members and transit agency partners, the Guide provides street transportation departments, transit operating agencies, leaders, and practitioners with the tools to actively prioritize transit on the street.